A reader of DL was fortunate enough to spend some time in a focus group within the last couple of days and came away with a spec list for a Casio phone that may actually interest some of you. There were other devices on display including a set of clam shells, but we will get to those in a minute. Remember, that our reader is going off of pure memory here, as focus groups almost never allow you to bring in a phone (for obvious reasons). He also mentioned that most of the phones were headed to Verizon. The Casio phone that we just mentioned was apparently the only one that truly stood out. It’s ultra slim (possibly 7.9mm), had a 4.5″ or 4.7″ Super AMOLED display, quad-core processor, NFC, 4G LTE, 8MP rear camera, 2MP front shooter, 2000 mAh battery, and ran the “latest Android” version (pictures looked like Ice Cream Sandwich). The USB port was on the top left, headphone jack on the top right, microSD on the left side of the phone, and the volume rocker and lock switch were on the right. Those were the only physical buttons, meaning this could have on-screen soft keys like we have seen on the Galaxy Nexus. Our reader described the phone as “beautifully simplistic” and mentioned that the top and bottom were slightly curved (again, like the G-Nex). Clam Shells: Our reader saw 4 different clam shell devices that act as any other clam shell device does. You are able to fully multi-task between the screens, drag and drop from one to the other, etc. He did mention that they were ultra-slim as well, something we wish previous clam shells were. New G’Zone by Casio: A new G’Zone phone was also there, was as big as the “Big Boy” we mentioned up top, and looked similar to the previous G’Zone phones as a ruggedized mean machine. 5″ Phones: There was a mockup of a big ol’ 5″ white phone. Our reader said that it looked nice, but didn’t feel all that great in hand. Could have been the mockup though. The focus group was not only for phones, but for tech that we could see in phones very soon. Participants were shown phones that were waterproof for up to 30 minutes in 1 meter of liquid, shockproof from drops of 1.22 meters, and had “ruggedized” exteriors. Sounds like the new G’Zone to me. They also spoke of a swiveling, solar-charging car dock. One of the features allowed you to easily communicate with another car that had a similar phone or car dock. Interesting, to say the least. And lastly, participants were asked if manufacturer warranties should be longer than 1 year. Take it for what it’s worth, but there have been times where we have seen some of these focus group products come to life. Props to our reader for remembering that much info in such a short amount of time. 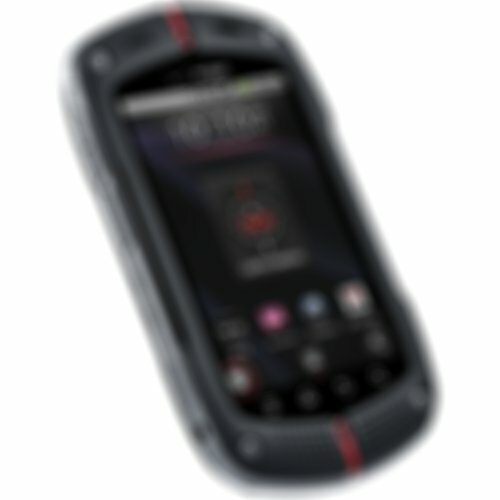 Does a Casio phone interest anyone? Even with those specs?